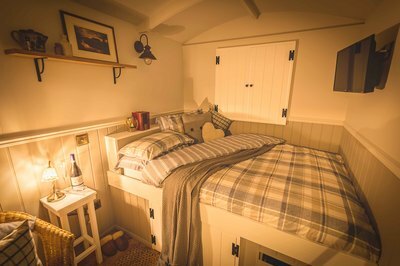 Our container cottage is based on the exact same fit out as The Poachers Hut by our sister business, The English Shepherds Hut Co. 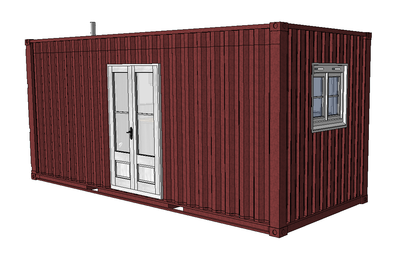 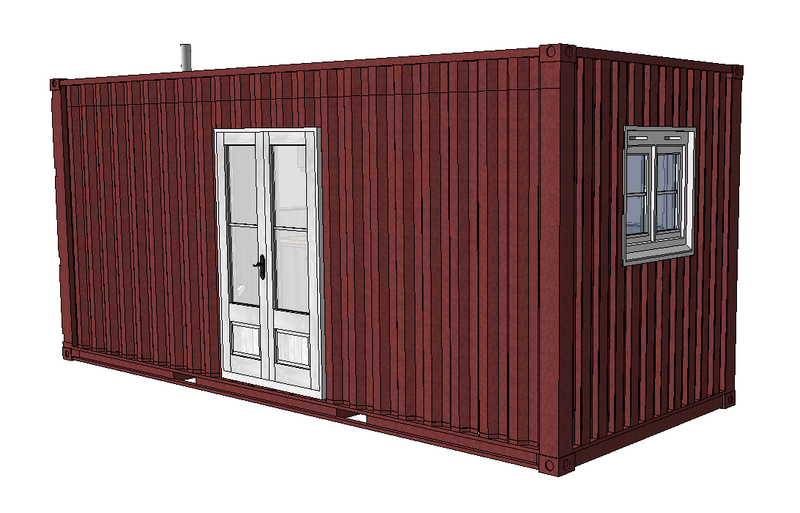 However, due to the economical nature and faster construction of a shipping container conversion, there is also a significant saving to be made! 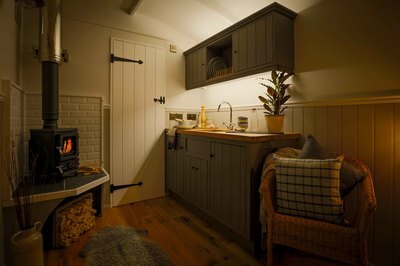 As with all our buildings, this can be totally bespoke and fitted to suit with a range of eco-friendly and off-grid options. 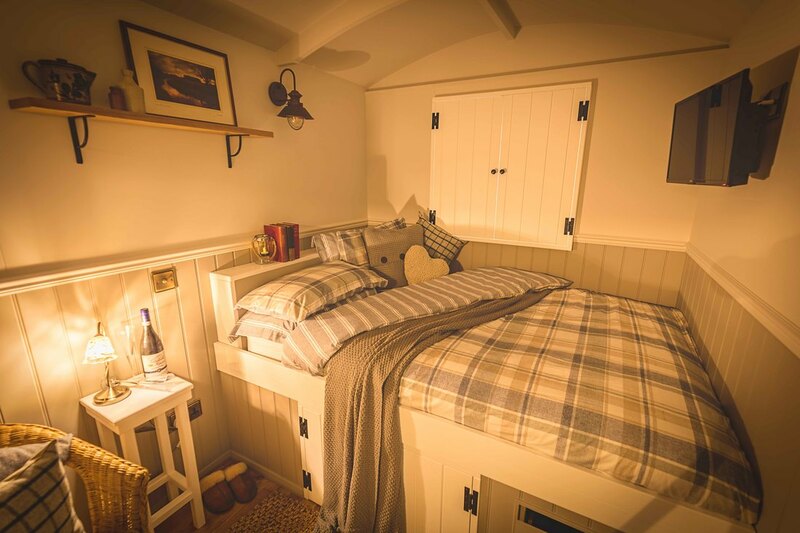 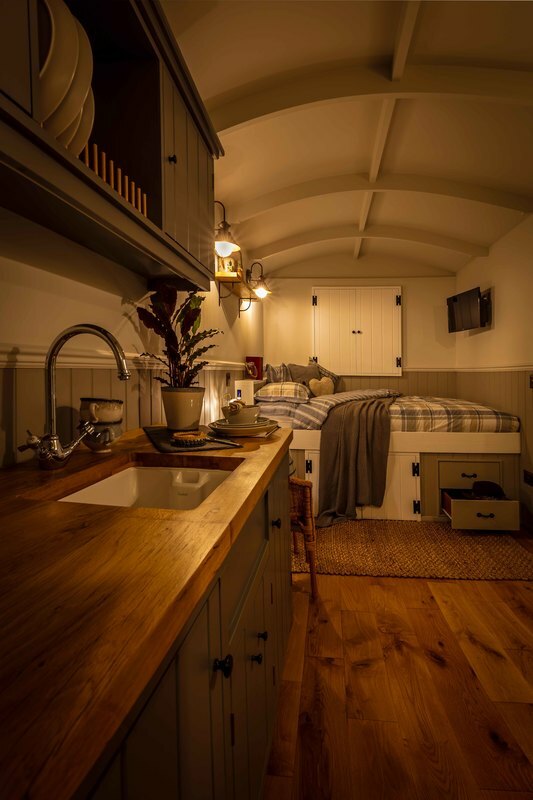 As with our Poachers Shepherds Hut, this building is fully insulated and includes a solid oak floor, wood burning stove, bed, kitchen and ensuite bathroom. 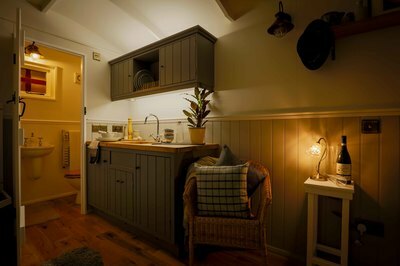 There are a range of other options, such as built in televisions, under floor heating and much more.